Social rules, customs, and conventions are not universal, so it is wise to learn the cultural differences before visiting Japan to avoid offending the locals. Japanese are so polite and reserved that you might not notice when you are affronting them. They are also hospitable and welcoming. Hence, it is only fair that you learn their social conventions to avoid making mistakes on your trips. Read on and learn what not to do in Japan. The Japanese expect you to remove your shoes before entering their houses. Most homes have a reserved place called genkan where you can leave your shoes. They provide slippers for you but the slippers should also be removed before entering a tatami mat room. The Japanese have specific slippers for toilet usage, which are different from house slippers. The toilet slippers are clearly labeled with words or a picture to remind visitors of its usage. It is easy to forget to switch from one set of slippers to another. Don't worry, the hosts are likely to consider it a source of amusement instead of taking offense, because they are aware of the cultural differences. You should only use the ofuro tubs after soaping or scrubbing yourself in the shower. Look for a hand-held shower nozzle on a small bench outside and shower thoroughly, because someone else may soak in the same tub after you. Their tubs do not stretch or recline like western tubs, so you will be submerged in steaming hot water. Do not drain the water after soaking because someone else will be waiting to use the tub. The Japanese do not eat or drink while they are moving. They have a cultural respect for food and start most of their meals with an "Itadakimasu" or "I humbly receive" prayer. They also eat when they stop walking to avoid spilling. Respect this culture even when you are taking snacks or fast foods. Practice chopstick etiquette before visiting Japan. Avoid waving chopsticks over your food, pointing them to people, using them as drumsticks, standing them up upright in a bowl of rice, passing food with them or poking food with one stick. Do not lick their tips or cross them like an X. Top on the list of what not to do in Japan is holding back from burping and slurping while eating. The way that Japanese eat surprises many visitors. Sipping, sucking, burping, smacking, and slurping loudly is a sign that they are enjoying their food. Do not be afraid to make a few loud noises to flatter the cook. Drinking is a social event in Japan. Colleagues and friends refill each other’s glasses and actually compete to keep the glasses full. The locals are more generous with visitors and hence many will offer to fill your glass. Do not forget to fill their glasses as well and pour drinks with two hands. Number 4 is superstitious in Japan. The Japanese pronounce it as shi, which is the same pronunciation for death. The alternative pronunciation is yon that does not have the negative connotations. Service workers do not expect tips from their customers because they earn reasonable wages. Some may take your tip as an insult. The Japanese do not display their affection in public by holding hands, kissing, hugging, or pecking even if they are madly in love. Avoid physical contact when greeting your friends or bidding them goodbye. Give a hands-off bow when greeting your colleagues or highly esteemed people. In a formal setting, the juniors should sit near the entrance while the seniors sit the farthest away. The Japanese believe that the least experienced or valuable person should die first in case of an attack, which gives others time to protect the seniors. If you do not know what not to do in Japan, start by checking your train conversations. A train is a quiet place in Japan and hence locals chat in hushed tones. What you consider a whisper may be too loud for the locals so you'd better remain quiet throughout the journey. Do not be too lazy to sort your trash properly. Find out where you should dispose each type of trash. The Japanese offer exceptional services in their restaurants without expecting tips. Bringing drinks or food shows that you do not value their services. Some may not be as polite when asking you to put away your food or drinks. Every place has guiding rules on where you should walk or stand. For instance, you should stand on the left and walk on the right when using an escalator in Kanto area. Watch what the locals are doing if you do not know the rules. The mountain attracts many locals and visitors during the peak hiking seasons. Avoid visiting the mountain in August or during the Obon holiday week. 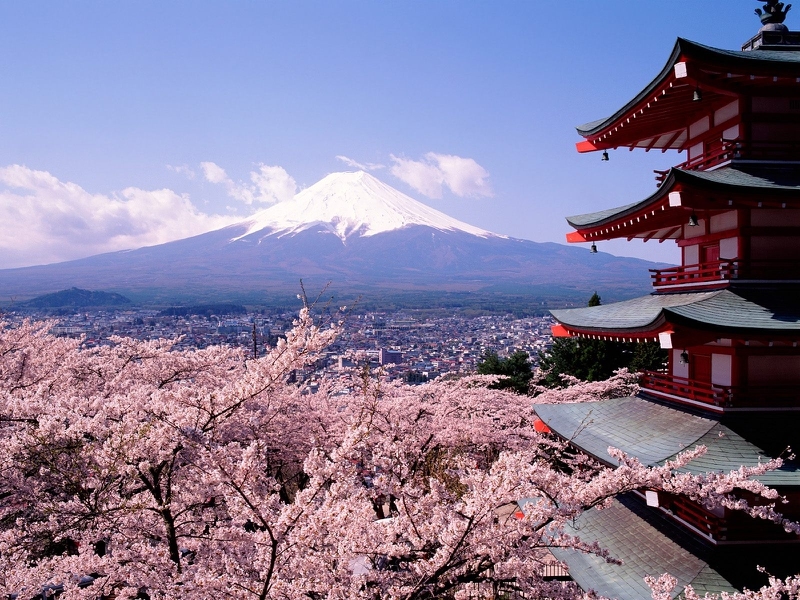 Many travelers assume that they will find better viewing spots for cherry blossoms if they travel to different parts of Japan. Check the blossoms in your town or city before looking elsewhere. Our final rule on what not to do in Japan is drinking at this bar, which is situated at Park Hyatt. You may end up paying 40 dollars for one platter of fruit and cheese. Server responsed at: 04/18/2019 9:29 p.m.